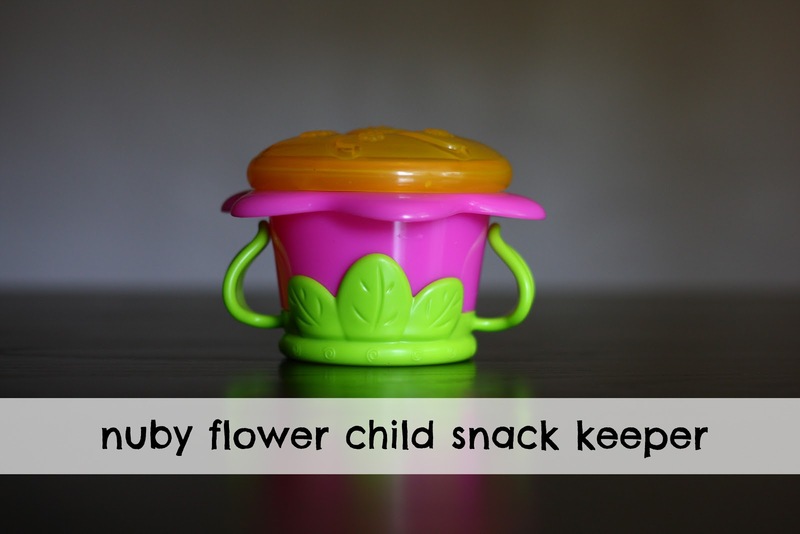 I am guessing every mom out there knows how amazing and useful snack keepers are. This one is no exception. It is three pieces - the lid, the body and the handle. 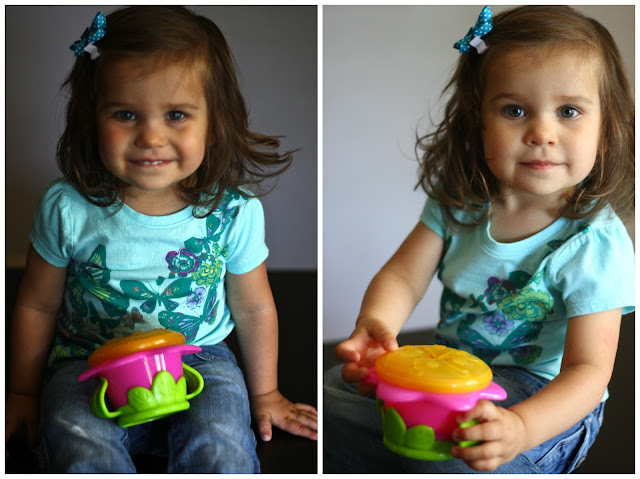 It is BPA free and very durable. Also, I would have to say the lid is the most durable of all the snack keepers I have owned. It makes it more difficult for say a toddler finger to hold open and dump cheerios all over the floor...not that that has happened to me before. The Nuby flower child snack keeper is a steal at $4.99 and available for purchase at BuyBabyDirect, Burlington Coat Factory, Amazon, Buy Buy Baby, CookiesKids and Diapers.com. That little model you have, gorgeous!! The snack cup is pretty cool if it keeps all of the stuff in there. Austin dumps the puffs out in no time flat.